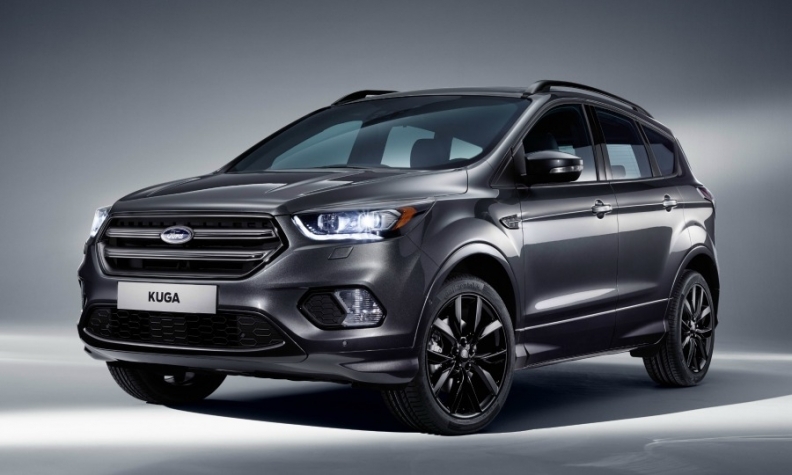 Ford's face-lifted Kuga debuts Sync 3 in Europe. BARCELONA -- Ford of Europe will join rival Opel and premium brands BMW and Audi by offering embedded modems in its cars to boost connectivity. The Ford Sync Connect system will be offered by the end of next year, Joerg Ullrich, the automaker’s head of advanced consumer experience marketing for Europe, said on the sidelines of the recent Mobile World Congress in Barcelona. Ford Sync Connect will be offered as part of the automaker's latest Sync 3 communications and entertainment system. It includes a 4G/LTE simcard to allow users to unlock their cars remotely and push maps from smartphones to the dashboard screen. Ford said Sync 3 has a better smartphone connection and faster touchscreen responsiveness, in part because Ford replaced an older Microsoft operating system in Sync 2 with one from QNX. Jim Buczkowski, Ford’s director of electrical and electronics systems research and advanced engineering, said consumers increasingly want connectivity to their vehicle when they are not in the car. He cited remote unlocking and checking fuel levels on a smartphone as two functions which buyers wanted. General Motors’ Opel/Vauxhall unit already offers similar features in Europe with GM’s OnStar system. The system turns the car into a Wifi hotspot allowing up to seven devices to connect in and around the vehicle. BMW and Audi also offer embedded modems as part of their premium infotainment systems. Ford unveiled Sync Connect for the U.S. market at last year’s Los Angeles auto show. The face-lifted Kuga compact SUV will debut Sync 3 in Europe when it goes on sale in the summer, initially without embedded modems that will be added next year. All automakers will have to equip new cars in the EU with wireless connection by April 2018 to meet the new eCall regulation that will require cars to be able to dial emergency services after an accident. Ahead of the Sync Connect expansion, Ford is rolling out its FordPass smartphone app that includes some of the functions offered by in-car connection. For example anyone who downloads the app will be able to chat to a Ford ‘concierge’ call-center for free for help with directions. “It’s a different strategy from GM and Opel with Onstar, but it's accomplishing similar things,” Buczkowski said. Non-Ford owners will be able to download the app as well.